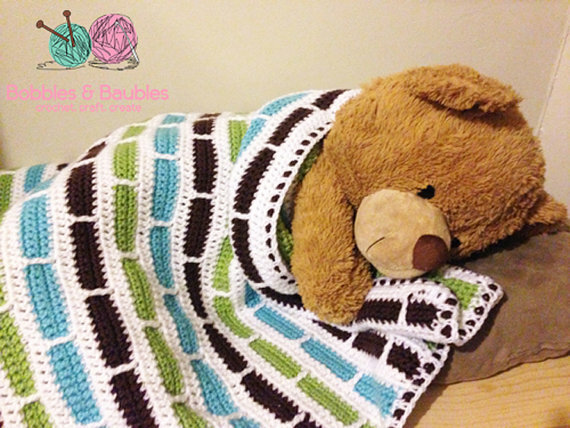 I posted this blanket a while back in this great group I belong to on Facebook called HodgePodge Crochet. I made it for my wife’s cousin as her baby shower gift. After I posted it in the group page, the post went crazy. Everyone wanted a copy of the pattern. 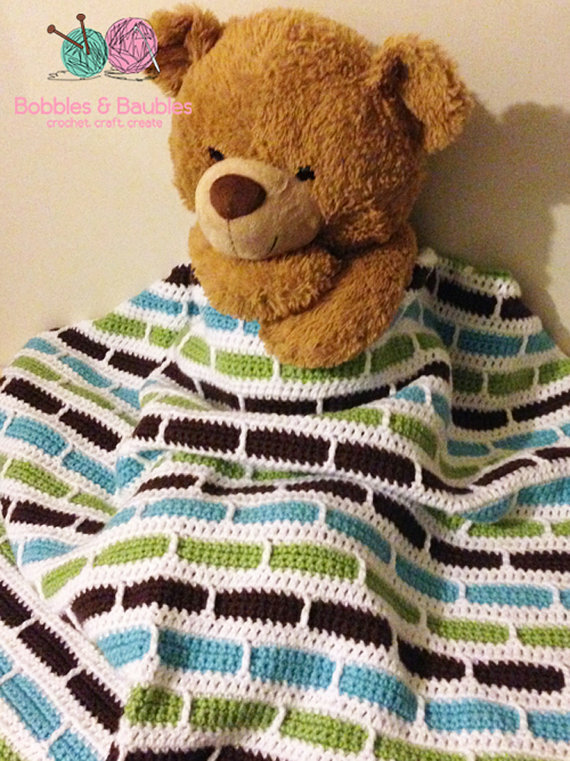 I searched high and low for this pattern and could not find it anywhere! before Bernat merged with Yarnspirations, it was available for free on the Bernat site. But it seems that they no longer offer it. Thank Goodness I saved a copy! 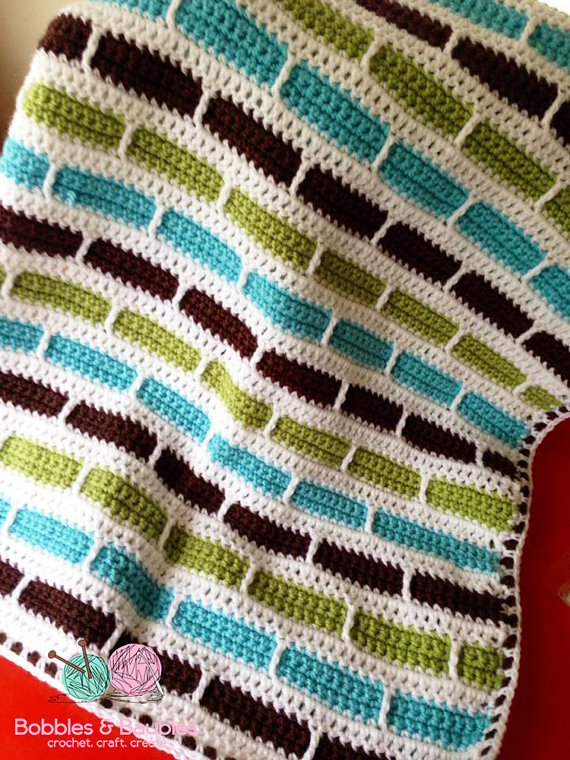 Love this pattern and started working on it yesterday…but I’m having trouble with the tr in the MC rows after the contrast rows (I’m fairly new to crocheting.) How do you get it to not just loop up on both sides and actually get the stitch to lay across the other color? Also, if you skip the sc after the tr, won’t you be short stitches on the next row. I’ve tried to figure it out from pictures, but just can’t get it. Could you please help? Thanks! I’m sorry, I don’t. But that’s a great idea for a future post. I may do one soon. This is a beautiful blanket. If I was to make it slightly smaller what multiples of chains would I be looking at? Marcia, had the same issue, maybe YouTube will have a video tutorial. Mikey from the Crochet Crowd website might have a link since he does a lot of yarnspiration patterns. I haven’t looked yet, but that’s just a suggestion. 😎 Good luck! That should be LINK. Thanks! I read over the pattern, thanks for posting it. 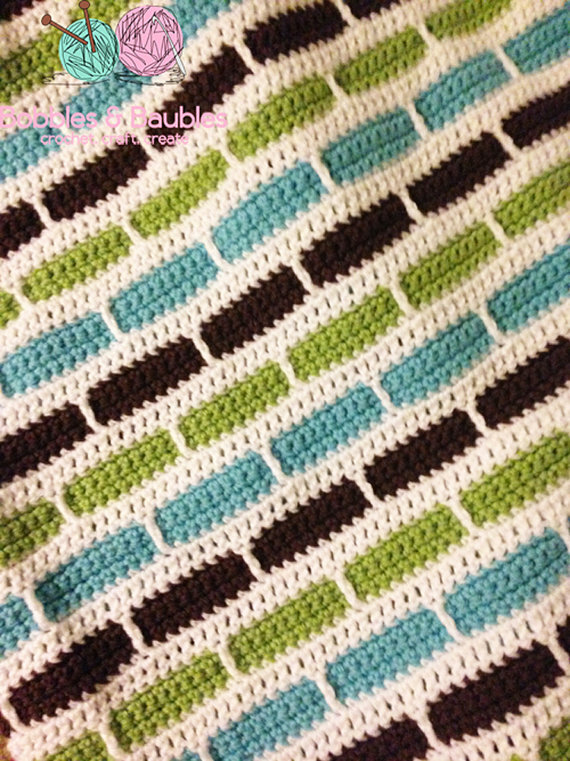 It seems that once the blanket is done the wrong side would have solid stripes, correct? I’m trying to figure out a way of making both sides the same. I’ll post again if I come up with something.